Bounce rate is an important factor for a website. It determines how much customers or visitors are loving a website. In-fact it is of the factors Google considers while ranking a website. Bounce rates is a term used in analytics to represent number of visitors who visited a website and then left rather than continuing on website. It can also be seen as measure of effectiveness of a website to make a visitor continue their visit. What happens if my site has high bounce rates? Consequences can be very rough and they will be if high bounce rates are not taken into consideration. As mentioned above, Google considers bounce rates as one of the factors for ranking a website on SERP. That means chances will be there for ranks to fall down of charts. This also means less traffic and conversions. On the other hand, if a site is suffering from high bounce rates then there must be some factors which are causing them. What are the factors causing high bounce rates? Slow-to-Load Page: A slow website always irritates. No one has time to sit and wait for website to load. Instead they browse back and go to some other’s website. It is also another factor by Google to rank websites. Blank Page or Technical Error: It is also possible due to any error that the page is not accessible or some elements have broken, giving user a bad experience. Misleading Title Tag and Meta Description: Not served what advertised for. Page content and title may not be complementing each other the way they have to complement. Bad User experience while authentication: While authentication they may be facing some problems like broken login or a too complicated password which they cannot recall. How OTP authentication can help decrease bounce rates? OTP authentication is a part of authentication platform which helps in authenticating on a website. It makes use of OTP to authenticate on a website. 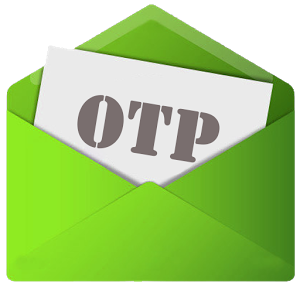 Whenever a user chooses to authenticate via OTP authentication, they have to validate themselves via an OTP code, which they receive on their registered mobile number. How it can decrease bounce rates is by providing 99% uptime and seamless user flow throughout the process. Along with this, it also solves the problem of forgetting passwords, by switching to OTP as medium of authenticating user on website instead of password. This way OTP authentication can be one of many solutions to decrease bounce rates.